The Ranmin Lodge homes three spacious rooms in ‘Section A’, and one room in ‘Section B’. Two of the rooms in ‘Section A’ and the room in ‘Section B’ are complete with their own attached bunk rooms that are accessible via a small wooden staircase from within the main rooms itself. 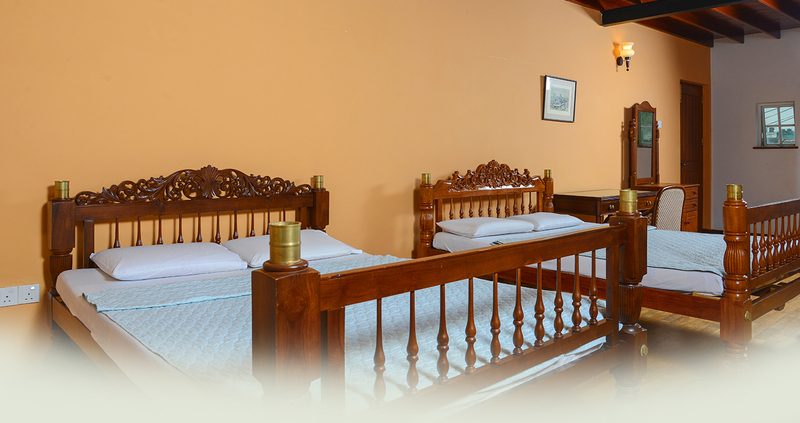 Dressed in peach and charcoal grey, and furnished with four poster beds and other furniture, the rooms are a cozy respite in chilly Nuwara Eliya. Plush mattresses, fluffy pillows, soft blankets and soothing scenes of the Pidurutalaga Mountain, Gregory’s Lake or the Race Course make these rooms a cocoon of rest. 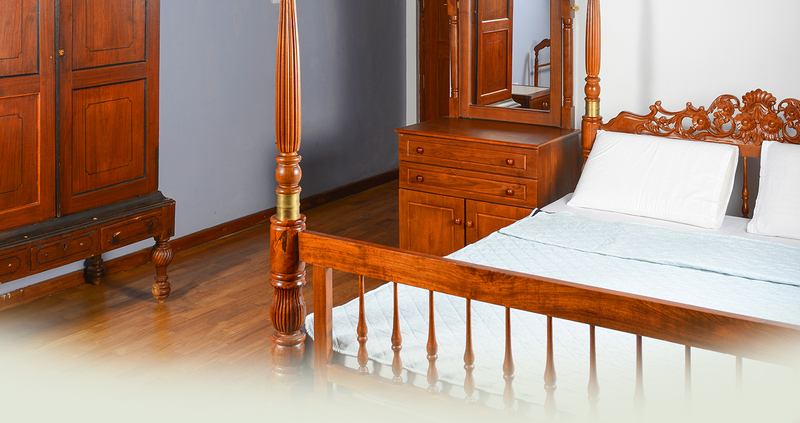 All rooms include a dressing table, wardrobe, clothes rack, and working space for convenience. The attached bathrooms equipped with modern amenities are fitted with geysers so guests could enjoy warm water showers any time of the day. 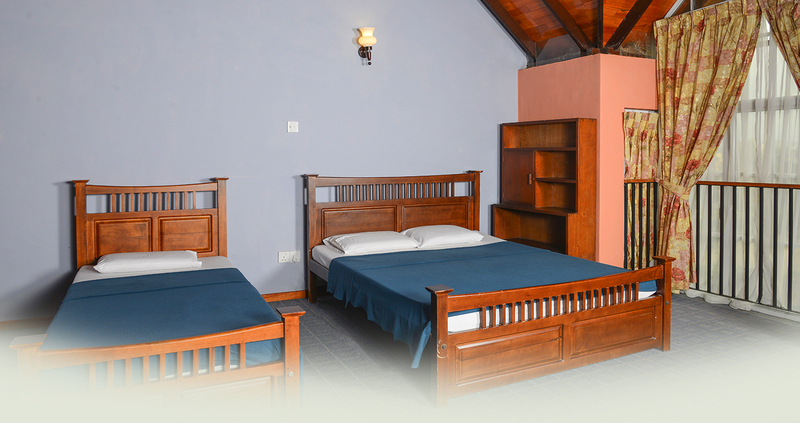 Each sleeping space offers either double or triple accommodation. Strategically placed adjacent to each other, and sometimes with easy access to the other, the rooms offer the perfect excuse to closely spend time with loved ones. There is also a driver’s quarter available for hassle free accommodation.